A friend of mine wants his 25 year old 15'x 24' Ester Williams pool taken down, he is too ill and elderly to do the job himself so he's hired me to do it for him. Another neighbor of mine wants the pool for his own yard and is willing to buy it from the owner as it is still in really great (almost like new even for it's age) rust-free shape, and will pay me to reinstall it in his yard once it is dismantled from where it is. The liner & filter are only about 2 or 3 years old and in like new condition. It was never opened again after the season that the new liner & filter were installed, so it is worth doing condition-wise. I've emptied all the water out, removed the top caps that hold the walls up and together and also keep the liner tracks (J-Channel Tracks?) that are under the caps in place. I washed the liner, folded and removed it, also rolled up and removed the foam that lined the inside of the walls between the walls and liner. I have installed and/or removed many pools over the last 20-25 years but I've never seen one quite like this! My trouble is that I do NOT know how to get the shell out of the bottom track and apart! This is NOT the type of cheap aluminum wall pool that you simply lift, roll up and move aside. This looks like it is 165 separate interlocking slats and I have tried just about everything, short of breaking anything, to remove these slats and to no avail. No matter what I've tried none of it will pull up out of the bottom track and none of the 165 sections will come apart, how is this done? Any old timer's around who've seen one of these style pools? What's the secret to removing the walls? ANY Good help/Advice is greatly appreciated! Thanks! Hi DJ. I would use plenty of WD40 on the locks of several of the panels. Clean the bottom rail out as best possible and start working the panels back and forth trying to get one to loosen up. You might also need to pry the lock open slightly on one of the panels, this should help to get it started. Once the first one is out the rest should be easy. Hi, Thank you for your advice, sounds like it would work out that way, and hopefully that will do the trick. At the moment the pool is still up as I haven't had a day to get back on track with that yet due to the heatwave we had and now all the rain we have been having over here. The past Monday I contacted the "Delair" Co. who had originally manufactured the "Esther Williams" brand pools, I spoke with a very nice, courteous woman who informed me that Delair sold all of it's tooling, patents and designs to a company called "Wilbar International" as of 2010 and that they continue to make the same pool under the "Millennium" name and that the pool I'm dealing with is an original EW "Carnival Pool" and that they were the greatest top of the line above ground pools ever made in the world. I informed her that she really wasn't kidding there since I have never met a pool so well constructed! She was kind enough to also inform me that she still had some of the assembly sheets and manuals for the pool in her office computer and very kindly quickly offered to, and than did email them right over to me. From what I can make out of these plans it appears that this model has a screw or bolt & nut at the bottom of each and every single wall slat into the bottom track during assembly with a big warning that they are to be removed upon completion of assembly prior to filling the pool with water. So when I can get back there on it this weekend I will see if it indeed does have any bolts or screws along it's track, as I did not see nor feel any along it when that idea had crossed my mind last weekend and hopefully get 'r done. Thanks again for your help! Hello, I too have an Esther Williams 15x24 pool with an end patio, walk deck, and fence that I am trying to assemble but have no instructions. Can you please help me with this? If you still have the instructions or possibly the contact information for the women you spoke to at Delair. Hey Eddie, Sorry I haven't gotten back to this thread sooner, been very busy with some recent family events, I will be sending you a set of instructions and owners manual in just a minute or two, just be sure to follow the directions exactly and one step at a time as this IS the most difficult pool I have ever dealt with, and hopefully won't see another one for a very long time! Have a great one! Can you publish the owners manual? I have a similar problem. Thanks, Bill. We will be digging at the end of this month (April) so long as we don't have a seriously wet spring. I am located in Western NY. I am going to try to figure out a way to get the instructions I have made available. Any questions feel free to email me at gosabres1@hotmail.com. Good luck! Hi Etan. You left another post stating you would like to find the deck for that pool. I thought I would mention that here also. I recently was given an Ester Williams extruded aluminum frame 15x24 oval pool. It looks awesome but very intimidating to assemble. Does anyone have any installation manuals they could email? I would also like the manual for the Ester Williams and what ever else papers someone might have. Thank you so much. If anyone has any manuals/diagrams of how to assemble this pool, could you please email to jothomas214@yahoo.com. We are really struggling with this pool. 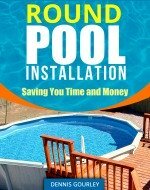 Another request for EW pool installation instructions...I have a 24R with fence and walkway all around, does anyone have or know where I can find any instructions for installation? I'd be most appreaciate as I haven't had any luck finding myself. Any info would be greatly appreciated. I bought a 15x30 oval pool that was already taken down. Struggling with the installation. If you could please send me the instructions for this pool or a like model, it would be greatly appreciated. Hello all. I too just became the proud owner of a 20+ year, 15 by 24 Ester Williams pool. I disassembled it myself and am going to attempt to put it back together at my home. If at all possible, can someone e-mail me the instruction manual? If so, please send to figgy572@aol.com. Also, I noticed that the bottom rail was in pretty bad shape. However, I was able to order a replacement from Teddy bear pool located in MA. Just be sure to also order the connecting brackets. As far as taking them apart, once all of the top portions are removed, you have to push them up from the bottom with a bit of force. This may bend the bottom rail but if its a re-install, I would just order a new one to be safe. I also noticed that some of the panels were screwed to the bottom rail so be sure to clear all of the sand away in order to expose them so you do not damage the panels. Thanks guys! Good luck on manual. I don't think any of the older comment people check this site anymore. As you can see my comment hasn't been answered yet. Oh well. I have copied the installation manual to a pdf for the Esther Williams 15x24 (looks to cover all size EW pools)extruded aluminum pool. Just bought this pool. If anyone has instructions on how to put it back together, please email it to kon_ivanka@hotmail.com. just purchased a EW pool from friend and no instructions on how to assemble. This pool has the matching privacy panels. The pool is blue and white, round 24'x 48". Hope some one can help me. Could desperatelyrics use install manual. Was given ester williams pool, white and yellow 24' round. Its ring at the bottom was shot. Can I use a vinyl j channel to take its place. Any suggestions out there? I don't know if anyone is checking this any longer but I need to find someone who has the installation manual for the above mentioned pool. If so can you reply to this with an email address to contact you. Thank you. I recently was given an Ester Williams extruded aluminum frame 15x24 oval pool with a 6 x 15 aluminum deck. It looks awesome but very intimidating to assemble. Does anyone have any installation manuals they could email? Hi I installed mine about 30 years ago. I could not find my instructions. If anyone who has them can e-mail me them I would appreciate very much. I forgot that there were any bolts in the bottom. I will have to remove some of the liner and see as I need a new liner. I also have one damaged section to replace. I found these today. Do not know if will help but the instructions are pretty much the same for all the oval EW pools reguardless of size. Hello, I too am looking for an owners manual for the 18'x33' pool we purchased. It has a platform too so one for that would be greatly appreciated! Thank you Roxanne Pitts for the links. I'm currently awaiting my new pool liner delivery along with foam walls, liner floor protector and foam cove. I had misplaced my original install sheets and your links have made it possible for me to go ahead with this on my own. Again, thank you for your valuable links. Can I get the disassembly and reassembly instructions for a Ester Williams 21 Round? I too have purchased a used 14 x 28 Esther Williams pool. Would anyone have a PDF instruction manual for it or one of a comparable size that would be similar in structure with similar construction.